Glorious new Black Lives Matter slogan: "Pigs in a blanket"
Today’s lesson in how tolerant, understanding, and caring progressives are comes from a group of Black Lives Matter protesters at the Minnesota State Fair. : “Your gonna see how many racist people live in MN by me posting this video MN is a Racist State #TruthBlack Lives Matter Protest at Minnesota State Fair by Drone Black Lives Matter Protest at Minnesota State Fair as seen by HD video Drone“. I see no evidence that anyone acted in a racist manner against the protesters. They were protected by police all the while calling for their death.The Democratic Party has really chosen well to endorse the BLM movement and support such logic. The lead organizer for the protest, Rashad Turner, had the following to say about the chant: “I think that the crazy thing is that there’s all this uproar about rhetoric but there isn’t uproar about the facts.” When questioned by a CNN reporter, Mr. Turner claimed that there was too much focus on “rhetoric“. The doublethink is doubleplusgood in Mr. Turner's and other progressive arguments. It’s interesting that he is saying that words don’t matter when fellow progressives can’t seem to shut up about “microagressions”. Fellow Progressives have even taken the time to create a website where they document their “microagressions” and other supposed hatred that’s inflicted upon various minority groups. As we all know, it’s acceptable when protesters start a chant about killing cops but microaggressions are unacceptable. Could someone explain to this loyal Party member how to properly rationalize such apparent logical fallacies? I've read Will Beria's post about paralogic and surreason but am still having a difficult time articulating an argument in support of Mr. Turner's reasoning. Perhaps I should lay off of the beet vodka? The man on the right had the gall to state that “all lives matter”. True Party members know that such will not be true in the coming progressive utopia! It brings joy to my heart to see that The Children are involved. Woe unto any parent that would teach their kid that it’s not OK for the government to take 90% of a citizen’s income though. It doesn’t matter that the "hands up don’t shoot" narrative in the Michael Brown case was proven false, true useful idiots Party members will continue to push that narrative anyway! It appears Minnesota is experiencing global warming. Government should do something about that. Edwin Johannsen has run Edwins' Pigs in a Blanket concession at the State Fair since 1987 with his wife Hildegard. Both were overwhelmed when experimenting with variations of "fair food" and fried some of their award winning pigs after they were baked. Hildegard explains "Panko crumbs just fall off, but if you thin out tempura batter with some buttermilk, it will change your life!" After trying some samples, an enthusiastic crowd formed and went across the fairgrounds touting the new taste treat. The Johannsens are grateful for the free marketing, but cautioned "we don't exactly fry them like bacon, but Jimmy Amundsons' Funnel Cakery over on the next row next to the bratwurst trailer does deep fry bacon like we do our pigs, it's not bad, but it's no fried pig in a blanket. Try some of this brown German mustard, it's amazing." Hildegard added "we don't use any of that trans-fat oil they use in Indiana, don't ya know..."
I've only been to Minnesota once so none of this is my fault. I've no idea why this individual is trying to blame me. Maybe I got a promotion ahead of him. If that's the case, I have only one thing to say: "UNION RULES! Buddy!" I'm still trying to work out why they are protesting the Bureau of Land Management. The Party™ works in mysterious ways, sometimes. Jesus Christ and the proverbial Hell hits the fan again. I am reliving the '60's. No Comrades, not the 1860's the glorious 1960's when commons (Ms. Fonda was not a common) hit the street in numbers chanting cheap slogans about our brother Ho Chi Minh. These folks are just hungry and tired of beets and potatoes and want to do a little tailgating and take in some football. Komrades, these protestors are not one of us. They are dirty traitors to the Progressive Way, Truth, and Life, and are worth less then a bilge rat's dung. Their slogan is "PIGS in a BLANKET, FRYING like BACON". 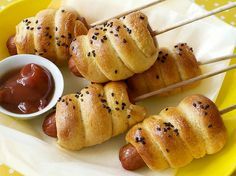 The mention of Pigs is exclusionary of the Islam faith, Blanket is offensive to the home-challenged, and Frying is an offense to Raw Veganism and those who are on Paleo diets. They also advcate the killing of police, and the police are the State and party's Homeland Army to help keep Thoughtcriminals, Denouncers of the State, and just plain State-Haters at bay. Stay away Komrades! And in the words of Party Archenemy Nancy Reagan, Just Say No! Get out Queedas, get out Queedas - Open da dowa - Open da dowa . . . Do black lives matter to the geniuses in the car? Sikh Temple Shooter's Slogan: "IT WAS BUSH'S FAULT"
Hillary tells black crowd, "Know your place in society"